Having accurate, in-depth information is power. It can drive millions of pounds in new business to your door. 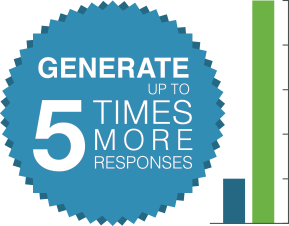 The Insight Database can help you generate 5 times more response than many other prospect databases. As specialists in the building and fenestration industry, we have a team of experts who understand the industry, know exactly what information you need, and have extensive resources to collect, verify and update information. No other specialist data company has our experience or resources. With an entire eco-system at work, spanning 7 different methods to update the Insight Database, all of this information is available to you, live in real-time, so that you always have the most accurate and targeted marketing data in the UK. Here are just some of the ways we monitor our data quality. 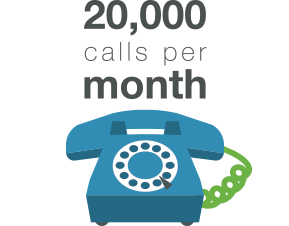 Our in-house call centre makes over 20,000 telephone calls a month. Each researcher has extensive induction training and takes part in monthly training events. The training is industry/market specific and even includes products and services. It means our researchers don’t just update a record, but also fully understand the information they collect. A highly advanced VOIP phone system with a dedicated IP Leased Line helps us manage calls. Telephone calls are recorded for training purposes, while a sophisticated software system analyses call patterns and identifies which records to call based on a number of factors. On average, records on the Insight Database are verified and updated every 90 days – more frequently than any other data provider. An XML data feed directly from a leading credit reference agency monitors companies in our database and flags up change of directors, company address, or financial issues such as insolvency or ceased trading. This enables our research team to update records more frequently and accurately, and remove companies who are no longer trading, without waiting for our usual 90 day call cycle. 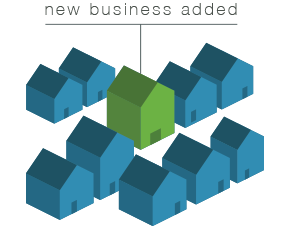 New businesses are launching all the time, and Insight Data has a feed from Experian and Companies House so we can identify new company formations. We filter records so that only relevant companies are approved for inclusion in our database, and we verify the company is trading before we add their record. It means you can be targeting new companies relevant to your products and services, before your competitors even know they exist. No other email prospect database can boast a 98% delivery rate. At Insight Data, email addresses are collected by our telephone research team during a phone call – we don’t collect them from websites. We focus on individual emails, not just corporate (e.g. info@), so that your email campaign targets the right people within an organisation and gives much better results. Providing an active direct marketing service for clients also means we get to test the quality of our database. 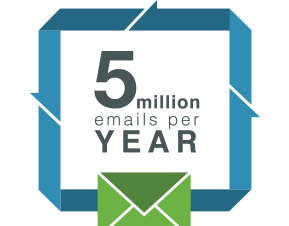 We send over 5 million emails a year, which means on average every email address is tested twice a week. Emails that bounce-back as undelivered due to ‘hard bounces’ (no longer available or incorrect email address) are fed straight back into our software system and our research team then verify and update the record to validate the email. With Insight Data, direct mail ‘returns’ are virtually a thing of the past. 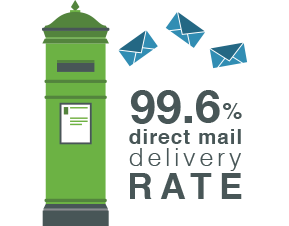 On average we achieve a 96% delivery rate on direct mail. Many publications and magazines rely on the Insight Database for their circulation list. We provide fresh data each month and any ‘returns’ (undelivered magazines) are delivered back to Insight Data and our research team immediately update the record and verify details. In fact, records on our database are mailed via Royal Mail on average every 3 weeks. It means you benefit from the most accurate, clean and targeted marketing list in the UK. Our software system, Salestracker, has a ‘client request’ button which raises a query on a record and enables the user to request an immediate update on the record, or to provide additional information - perhaps to let us know that someone has left the company or has changed products or market sectors. Effectively, many of our clients help us refine and improve the database, which ultimately benefits them and all of our users. 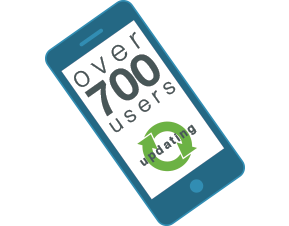 And with over 700 users on the system, it is like an army of researchers helping to keep the database clean, fresh and highly accurate. Insight Data operates a strict quality control process. We employ a Data Analyst who constantly analyses the quality and accuracy of our data, tests it against our internal KPIs and works closely with our Research Manager to ensure our research team are updating and verifying records to the highest standards. We constantly study the market, track the latest news and trends, have regular client meetings and attend industry events, and all this in-depth knowledge is used to constantly refine and improve our database. Sadly, many database providers ‘pad out’ their database with records that are out-of-date, ceased trading, or not even relevant to your target audience. This gives the illusion that the database is bigger than it is, but simply costs you time and money and drastically reduces your results. At Insight Data we believe every record on the database should be accurate and relevant. Any records that don’t meet our strict criteria are immediately removed from the database. In recognition of our standards, Insight Data is the only construction and fenestration data provider to be accredited by the Direct Marketing Association and a full member of the Glass & Glazing Federation, as well as twice winners of the Government-backed Enterprise Agency Business of the Year.